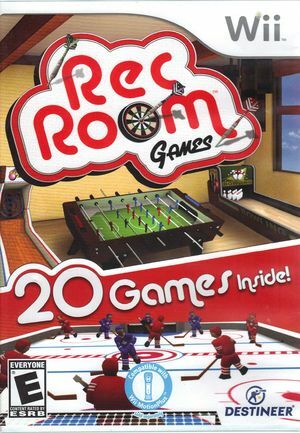 Your Wii becomes the ultimate Rec Room in Rec Room Games (Great Party Games in Europe). Enjoy 20 games that will provide hours of entertainment for moms, dads and kids of all ages. Play classic games such as Table Soccer, Air Hockey, Alley Ball, Whack-a-Mole, Table Tennis, Darts, Beanbag Toss Tic-Tac-Toe and more, all with intuitive Wii Remote controls! This title crashes on boot under current dev builds, though may work in some past revision. Fixed prior to 5.0-848. The graph below charts the compatibility with Rec Room Games since Dolphin's 2.0 release, listing revisions only where a compatibility change occurred.